The town of St. Pol is about 29 kilometres south-west of Bethune and 34 kilometres west-north-west of Arras. 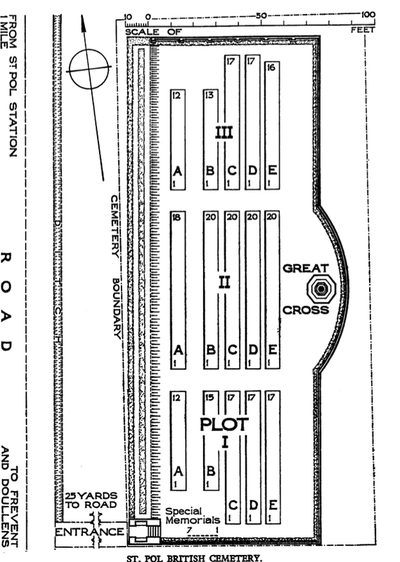 The British Cemetery is to the south of the town on the road to Frevent (the D916). St. Pol-sur-Ternoise was a military administrative centre during the whole of the First World War and was taken over by Commonwealth troops from the French in March 1916. 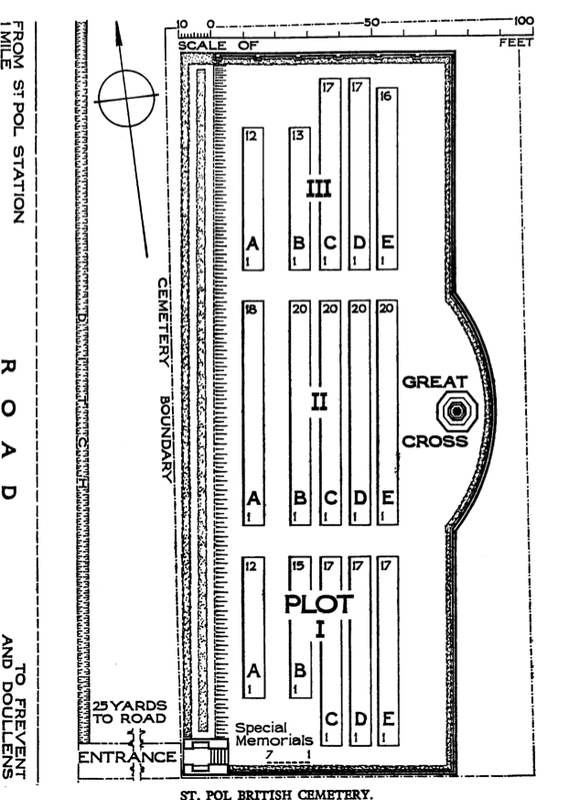 No.12 Stationary Hospital was posted on the race-course near the town from 1 June 1916 to 1 June 1919. 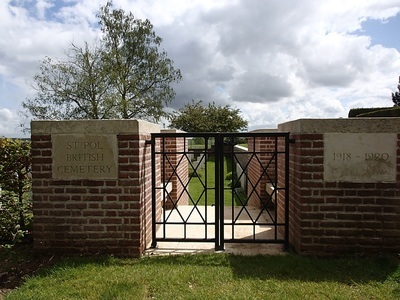 St. Pol British Cemetery was begun in March 1918, when the extension to the communal cemetery was almost full; the last burial was made in July 1920. During the Second World War, the 44th Division was in the St. Pol area as reserve to 3rd Corps at the end of March 1940 and during the furious fighting covering the withdrawal of the British Expeditionary Force to Dunkirk in May 1940, even a mobile bath unit took part in the defence of St. Pol. 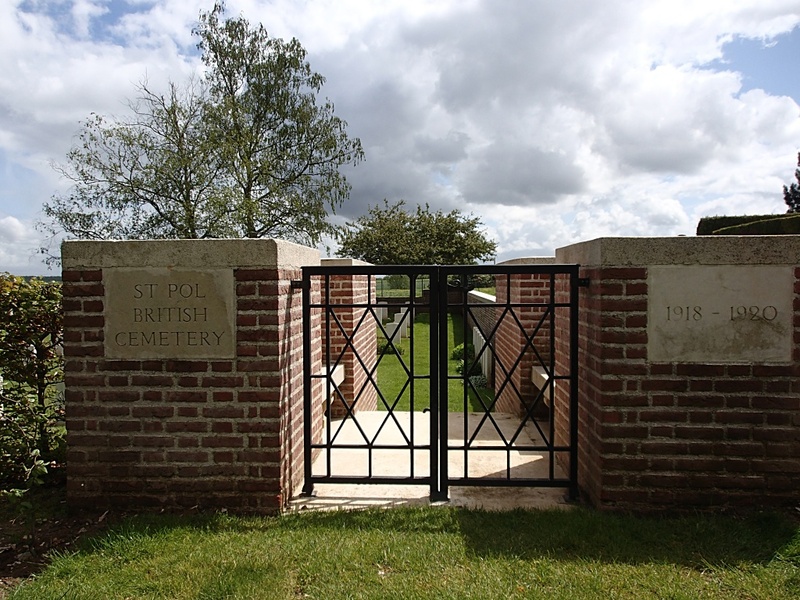 St. Pol British Cemetery contains 258 Commonwealth burials of the First World War. 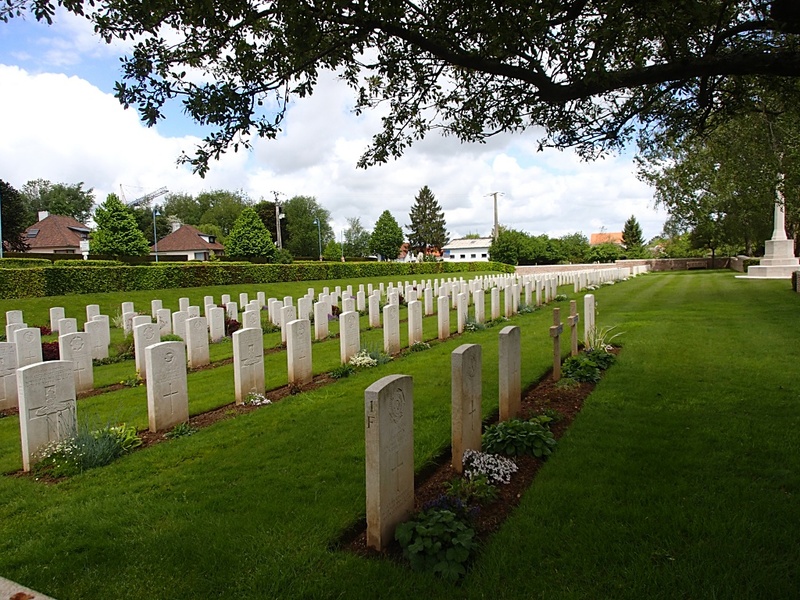 the graves of seven Australian servicemen are represented by special memorials; they were among sixteen men of the 58th Battalion AIF killed by a shell at St. Pol station on 27 March 1918. 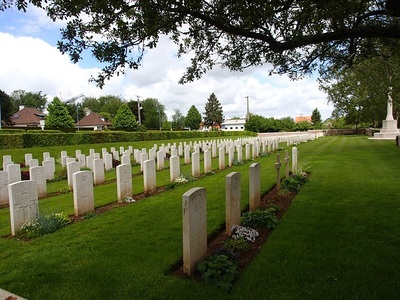 The cemetery also contains four Second World War burials and two French war graves. 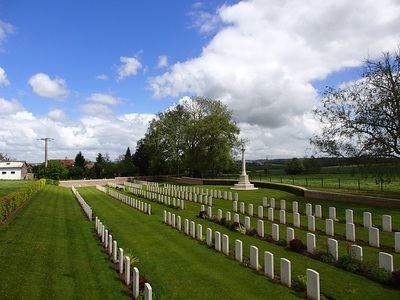 Casualty Details: UK 218, Canada 14, Australia 20, New Zealand 5, South Africa 1, France 2, Total Burials: 260.